Ale Yeah! 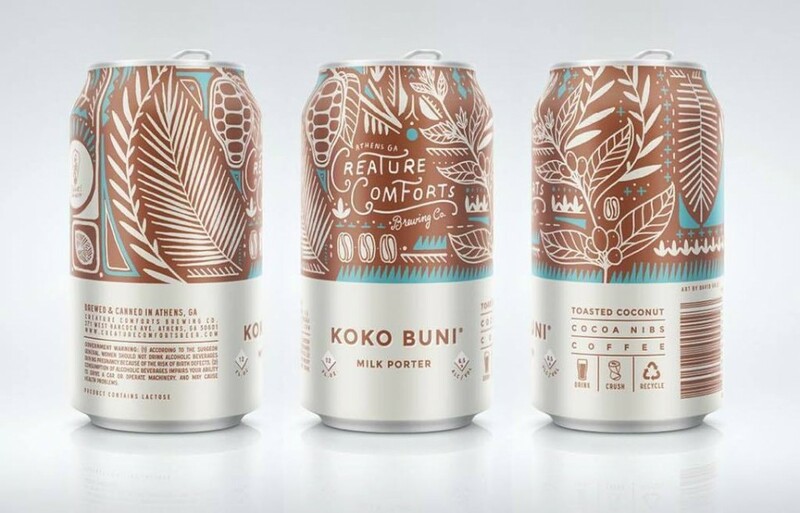 | Creature Comforts Koko Buni release, Wednesday December 16th! Nearly four years ago at the Brewvival Beer festival in Charleston, SC I had a beer that blew my socks off. Funky Buddha’s “Last Snow”, a coconut coffee porter that was pure decadence. Later on that year David Stein and I were discussing a Twain’s/Ale Yeah! collaboration beer and I told him about this delicious elixir. Could we make it better? Who knows, but we were gonna try. Not a scant month later and from the lab of one of the finest brewpubs in Decatur began to flow something that was clearly it’s own animal, and one that the parents were quite proud of. That beer carried us through the cold winter of 2012 and was called Koko Buni. David and Chase even had the brilliant idea to run it through their Nitro tap, and all of Decatur said thankee. Fast forward just a few months and that mad scientist had teamed up with Adam Beauchamp to sprout the idea of a brewery that would turn more than a few heads: Creature Comforts. David brought this beloved nectar with him to the CC family and it is making it’s triumphant return back to Atlanta, and this time it’s coming in cans! To celebrate the 2015 release of Koko Buni we’re gonna do a beer and sweets pairing in our Roswell and Decatur stores. We’ve paired up with two outstanding bakeries to tempt your tummies next Wednesday, December 16th. Both locations will have limited quantities of the pairings and once they are gone they will be just memories in our bellies, so get there early! We will have plenty of beer for growlers and flights however. We’re not sure if the cans of Koko Buni will be in the market next week but our fingers and toes are crossed. Their arrival is imminent but we will definitely have a keg tapped to satisfy the sweet teeth in the room.